With the summer season slowly coming to an end, it’s a good time to look back at some memorable summer 2016 experiences. 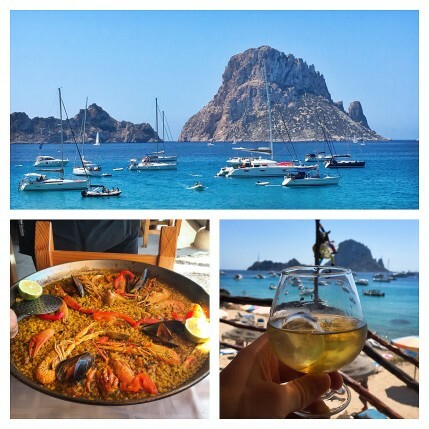 This year, our yearly trip to Ibiza also included some great local restaurants which we would love to share with you. S’Espartar is a restaurant that is usually crowded with Spaniards. And that’s a good sign! We got this tip from a Spaniard and were immediately convinced. 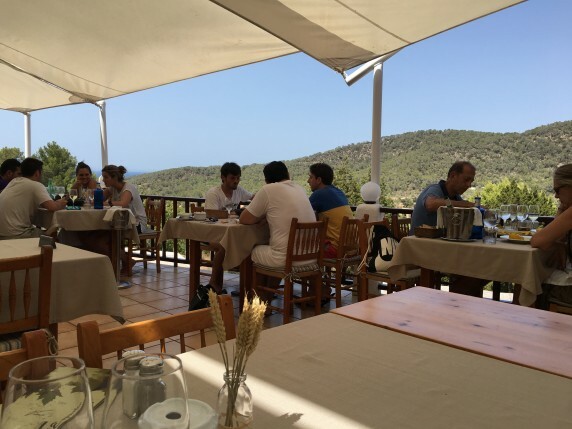 The restaurant is on the way to the beach of Cala Tarida and overlooks the mountains and the sea. 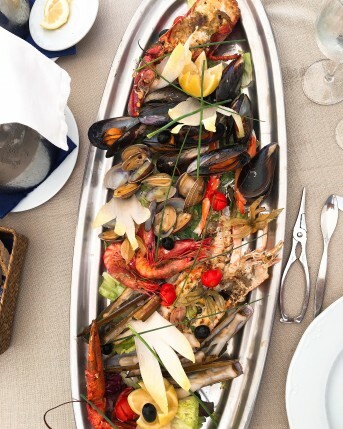 Specialties are fresh fish and seafood, and the paellas. We enjoyed a huge platter of seafood, grilled with local spices. In the company of a nice bottle of Spanish cava we had a wonderful afternoon. Definitely a place we will visit again! 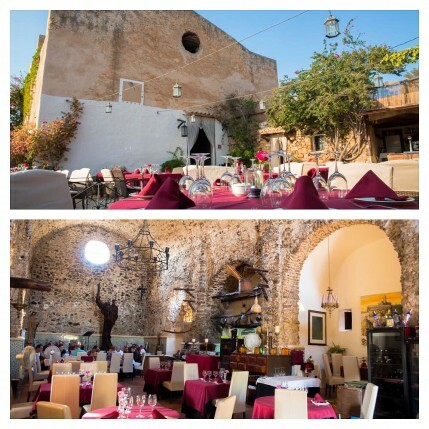 Restaurant Sa Nansa is situated in Ibiza town, next to the famous Pacha nightclub and right opposite the Pacha hotel. The ideal location for those who want to fill their stomach before a solid night at the club! But of course, this is a place you visit for the food. 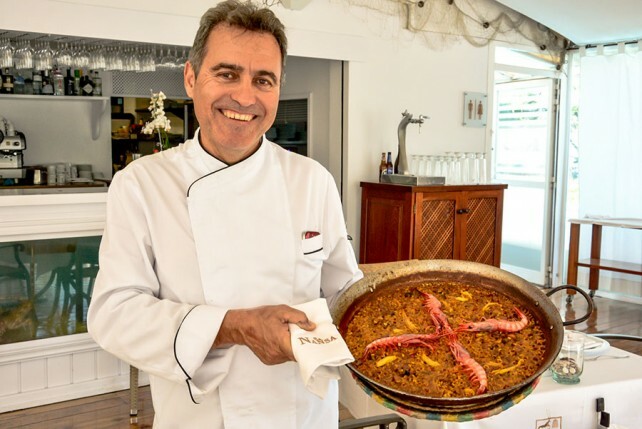 Chef Pedro is a true fish lover and loves to propose his guests a customized menu. 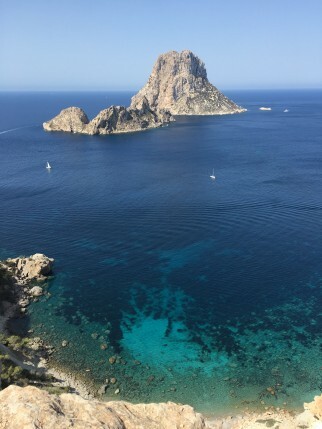 We were surprised by the sea cucumbers from Ibiza, a delicacy that is mainly found in Asia and Portugal. We also sampled the ‘Gamba Roja’ from Ibiza, some great grilled squid and an excellent paella. Everything accompanied by some fine Spanish wines and, of course, a glass of Hierbas to finish. 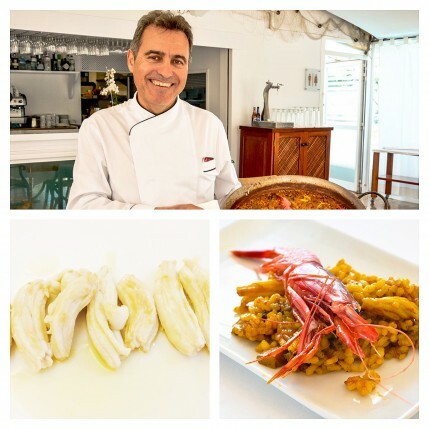 Es Rebost de Can Prats is a restaurant where you can still enjoy the real traditional cuisine from Ibiza. 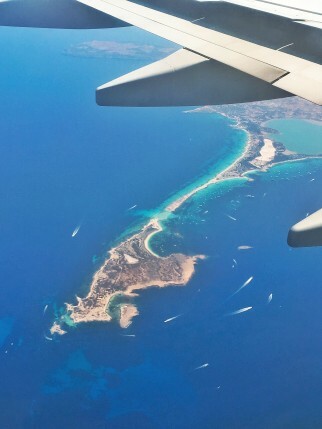 A good example of their dishes is the ‘enciam the Crostes i peix sec the Formentera’: a traditional salad from Formentera, a beautiful island near Ibiza, with fried bread, dried cod, tomato and garlic. 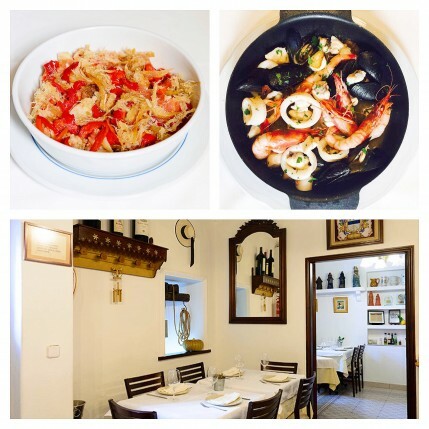 The ‘Cassola Es Rebost’ is fantastic: a solid stew of fresh seafood with garlic and herbs. For dessert, make sure to try the ‘Flaón’: a tasty cake with the local herb ‘hierba buena’ (a kind of mint), anise, whipped cream, butter and burnt sugar. Perfect with a shot of home-made Hierbas. Tip: It’s a good idea not to plan a date after this restaurant, as they really, really love garlic. The food at this cosy restaurant is probably not the best on the island, but the view is certainly stunning. 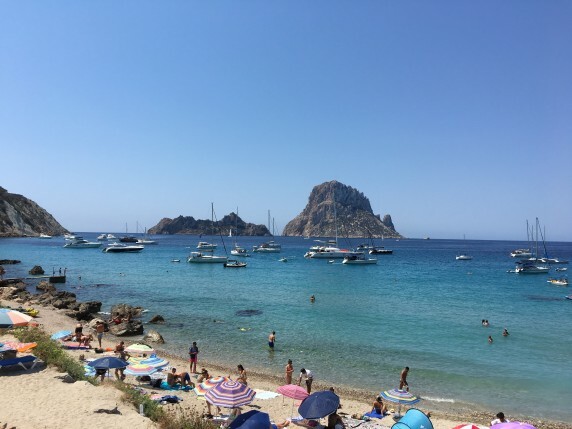 El Carmen is located on the beach of Cala d’Hort, with stunning views on the legendary rock of Es Vedra. We tasted some grilled squid with garlic and lemon, and a great paella with seafood (Paella is also one of the house specialties). 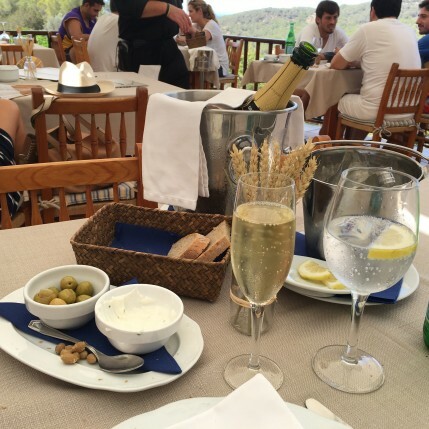 Our meal was wrapped up – Ibiza-style – with some shots of Hierbas. It is hard to imagine a better location to enjoy this sweet liqueur! For the tables outside, and certainly those with the best view, it’s best to make a reservation. Sa Capella is located on a hill just outside the center of San Antonio. The restaurant is housed in an old church and the atmosphere is unique! You can choose a table inside (romantic interior, but rather hot) or outside (less romantic, but cooler). 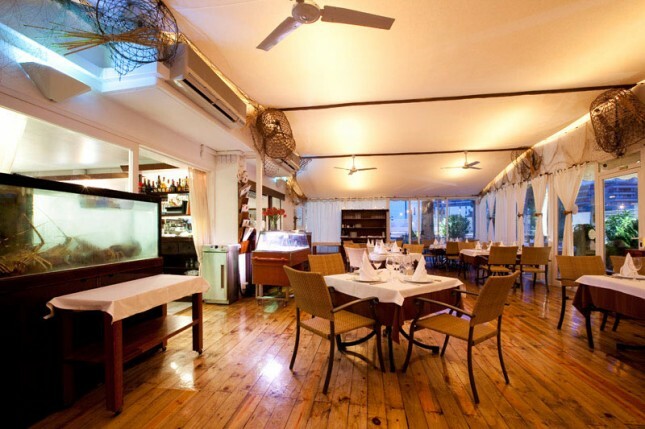 Sa Capella is known for its succulent meat preparations. We chose the double-ox T-bone steak with salt pieces: a huge piece of meat, that is cut into smaller pieces (after your approval). These smaller pieces can be baked on a small table grill and finished with sea salt and olive oil. We stayed at the Hotel Gran Sol in San Antonio during our trip. 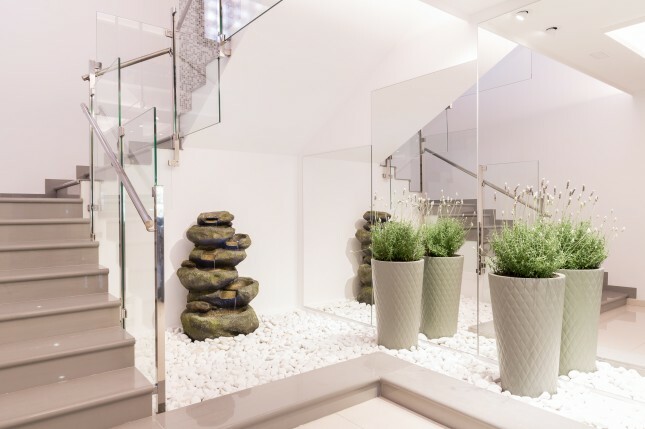 The 3* family-run hotel is a great place to stay. While not the most luxurious hotel, it is extremely well managed and the family staff is very professional and well trained. 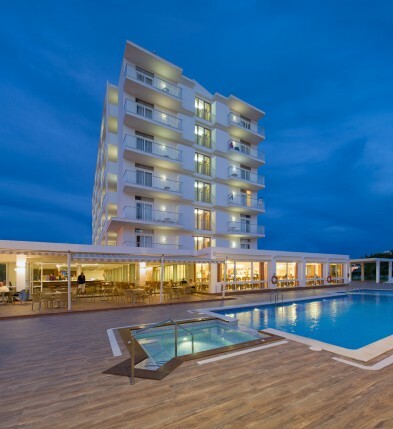 The rooms offer views on the beach and the nearby lands and are comfortable. Breakfast is extensive very cheap. The pool and big garden offer the perfect chill-out spot after a heavy night, and the hotel bar is excellent – with very impressive mojito’s and other cocktails. 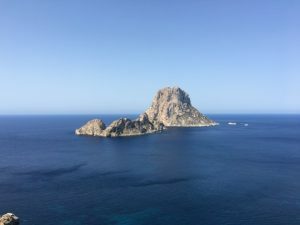 The price-quality ratio of this hotel is, especially for Ibiza, very good. 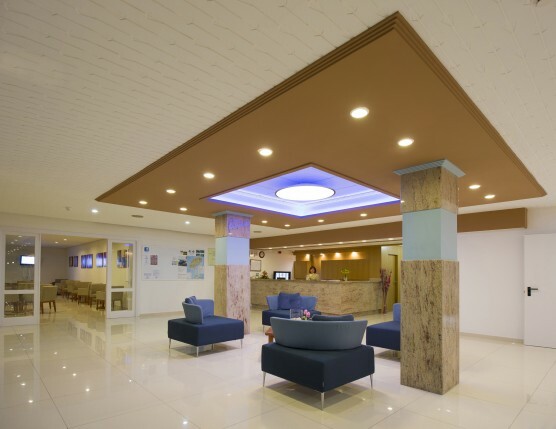 Gran Sol hotel is located just outside the center of crowded San Antonio. The property and the rooms remain quiet while all the bars, beaches and clubs are on walking distance. A small and cosy beach and some great beach bars are located only a few hundred meters from the hotel (tip: make sure to sample some great cocktails or a fresh Stella Artois at the Belgian-run Bamboo Bar). Enjoy! 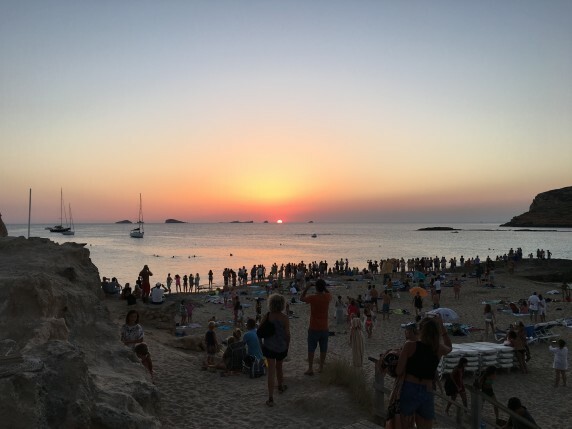 Ibiza is gewoon geweldig! Sa Nansa moet ik zeker eens proberen. Dag Thomas, inderdaad! Zeker ook ‘S Espartar toevoegen aan je lijstje ;-).